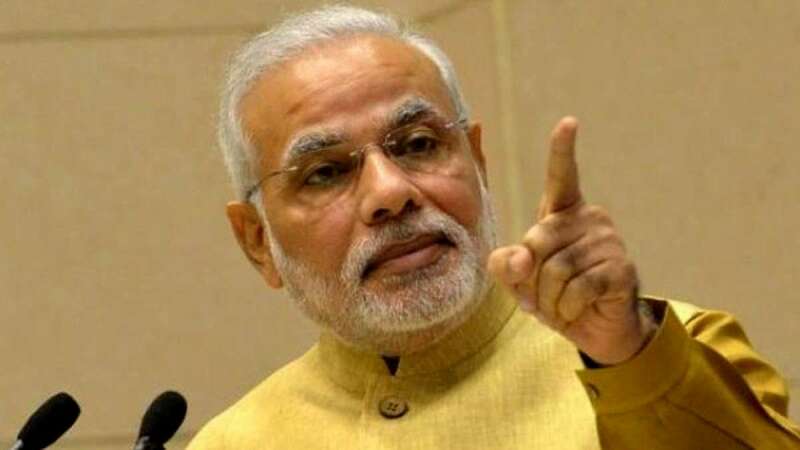 New Delhi : The Congress on Thursday said the 2G court verdict has "exposed the conspiracy hatched by Prime Minister Narendra Modi, Arun Jaitley, Vinod Rai and other BJP leaders" to defame the party-led previous UPA government in order to come to power. The party said through the court verdict "truth has come to light" and that Modi, former CAG Vinod Rai and BJP leaders, including Union Finance Minister Arun Jaitley, should give an explanation to the country for "levelling false allegations, spreading lies and hatching a conspiracy" and demanded an apology from them for defaming the UPA government. The party also slammed Jaitley for saying that Congress should not wear the court verdict as a "badge of honour". , Congress spokesperson Randeep Singh Surjewala said: "Jaitley is a master of lies. Will his government take note of the three scams brought out by the CAG report and probe it?" "He is questioning the judgment of the special CBI court. This does not behove a country's Finance Minister," Surjewala said. Earlier after court verdict, the party leader said: "The BJP has been exposed today -- It tried to insult the country and came to power by doing business out of false allegations. "Truth is for the country to judge and see as the special CBI Court rejected every allegation of corruption, wrongdoing, criminal conspiracy and breach of trust. Will Modiji and the BJP come forward to own up to the sinister maligning machinations and apologise to the nation. "The lies have been exposed and the BJP's conspiracy to defame the Congress party has been exposed. It is a victory of truth," said Surjewala. "The conspiracy, which was hatched by Modi, Jaitley, Rai and other BJP leaders, has been exposed today. The truth has come to light that no one is guilty in the 2G spectrum case. He asked if "all these people, who were resorting to lies for all these years to come to power", apologise to the country? "Isn't it true that spreading lies and to hatch a conspiracy are in the DNA and character of the BJP." "Shouldn't they be held responsible and give an explanation in the Parliament for the lies. Shouldn't the PM, Jaitley and BJP apologise to the nation publicly," he asked and said those who termed 2G a scam and moved up the ladder of power should give an explanation and be held responsible. Surjewala said: "The BJP should give a reply in the Parliament for the conspiracy hatched against the UPA government and defaming the country." The Congress said that it will also seek an explanation from Modi, Jaitley, BJP President Amit Shah and External Affairs Minister Sushma Swaraj for stalling parliamentary proceedings for three years during the UPA rule and tarnishing the image of the country. "The manner in which they hatched a conspiracy with Rai, due to which country's economy was hit and losses incurred, the BJP and Modi have to give an explanation for this," said Surjewala. Special Judge O.P. Saini acquitted all the accused, including then Telecom Minister A. Raja and DMK MP Kanimozhi, in both the cases filed by the Central Bureau of Investigation and the Enforcement Directorate in the 2G case.